Hey everyone! 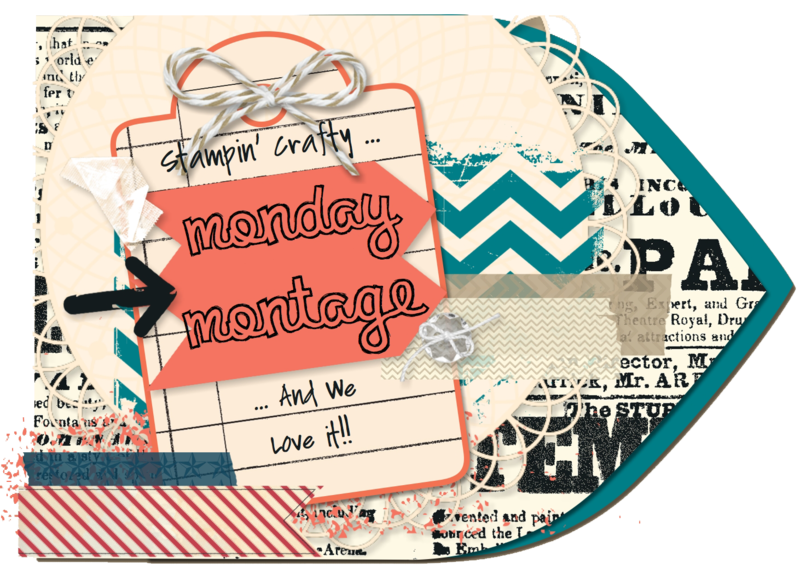 Are you ready to start your week off right with a Monday Montage Blog Hop? As always we have some really great projects to share with you. You will want to visit everyone, so be sure to use the buttons at the end of everyone's posts to navigate through the hop. I made this cute little banner a few weeks ago to give my desk at work some life. Each banner is 4"x6", so it is the prefect size. The colors of Crushed Curry, Pool Party, Calypso Coral, Old Olive, and Tip Top Taupe make for a really happy and summer time feel. My favorite part about this banner is the tassels on the end. I just used several pieces of Calypso Coral Seam Binding to create them. 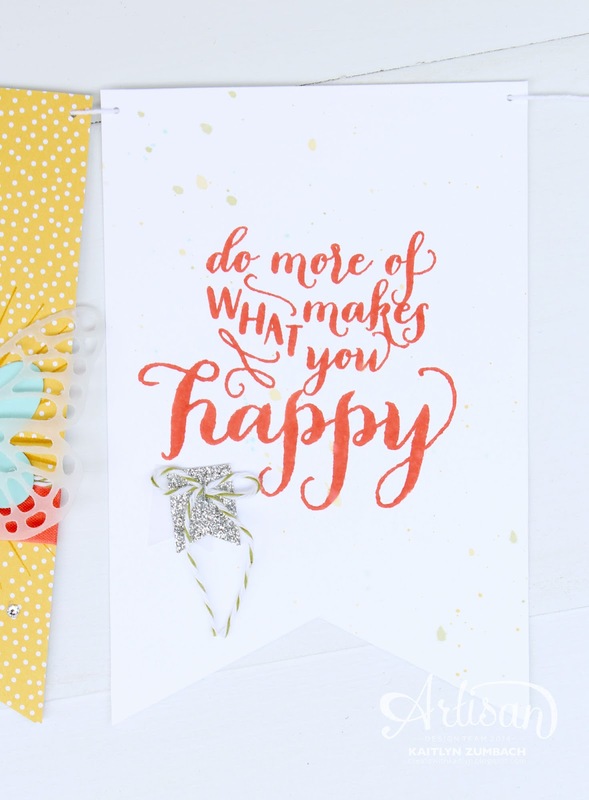 I love having an inspirational quote on banners and this one from the Hello Life Set was perfect. 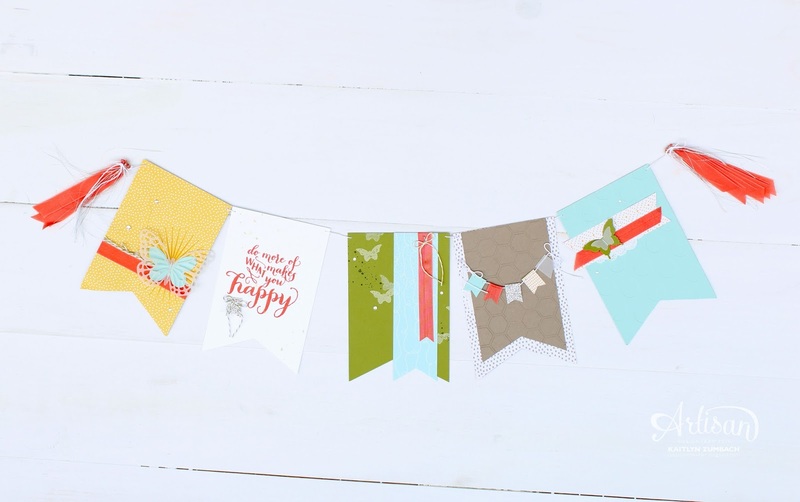 Each banner is fairly simple but special touches like Silver Glimmer Paper and that Vellum Butterfly make a really special and pretty banner. Remember, see more amazing projects by following along the hop! 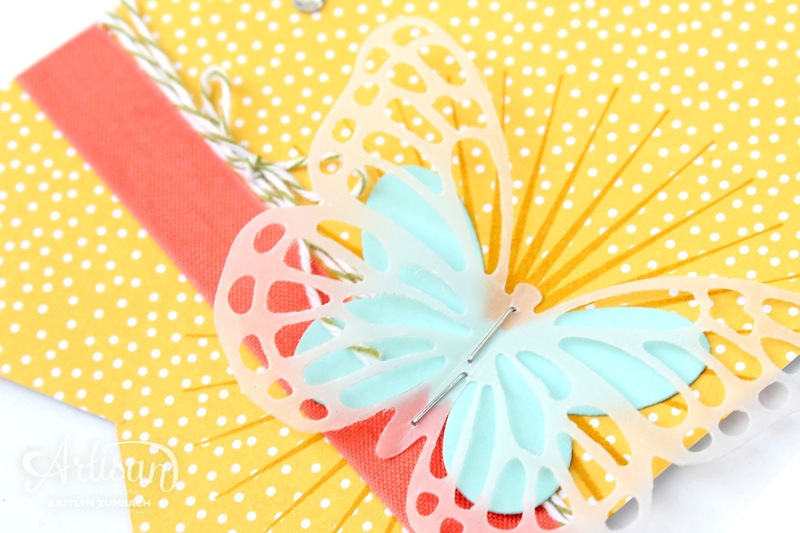 This is so happy and fun -- a great way to decorate your desk. Love it! So colorful and cheerful! I'm sure it really brightens up your desk. Adorable!!! What a cute idea for your desk! Great banner with great little decorations and special touches!